Took forever to get back from Minneapolis to Title Town, Va., but made it to Charlottesville on Wednesday, and offering up this Final Four Notebook. More stuff coming as the week moves on. Upon arrival, I immediately headed over to the Charlottesville Radio Group studio to start working on this weekend’s show. Speaking of the radio show, the Final Four’s “Most Outstanding Player,” Virginia’s Kyle Guy, will make an appearance on “The Jerry Ratcliffe Show,” on ESPN-Charlottesville (102.9 FM, 1450 AM) Saturday from 9 -10 a.m. Guy, a junior guard from Indianapolis, scored a combined 39 points in UVA’s semifinal win over Auburn in overtime and in the championship game over Texas Tech. In those two games, Guy was 13 for 26 from the field, 6 of 15 from the arc, and 7 for 7 at the free throw line, including three clutch pressure free throws to win the Auburn game. So if Virginia’s brand of basketball — which places a premium on defense, a slower offensive tempo, value of every possession — is “bad for the game,” as some national pundits have barked, then how did this happen? According to CBS and Turner Sports, the telecast of Virginia’s win over Texas Tech in Monday night’s NCAA Tournament Men’s National Championship game scored a 12.4/22 HH rating/share. Those numbers were based on Nielsen-metered market ratings and were up 20 percent over last year’s (10.3/18) and peaked with a 15.0/30 from 11:30 to 11:45 p.m. So, the UVA-Texas Tech game greatly outdrew last year’s title match between Villanova and Michigan (a 79-62 blowout). The top market, not only for the state of Virginia but the entire country, was Richmond with a 31.3/48, followed by Norfolk 23.4/39. Minneapolis was third in the ratings, followed by Louisville, and Kansas City. 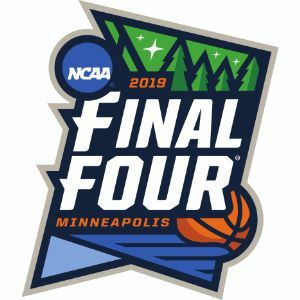 NCAA March Madness Live set all-time tournament records in live streams (over 100 million) and live hours consumed (more that 24 million), up 31 percent and 29 percent, respectively. One of those, New York radio personality Mike Francesa, couldn’t have been more off-base when he said that Tony Bennett will never win a championship with this Virginia team because it couldn’t score points, particularly when it had to. Would have been interesting to have been sitting in front of a TV with Francesa as UVA found a way to win offensively against Purdue, then Auburn, and Texas Tech (in what was supposed to have been a low-scoring defensive game) when the Cavaliers put up 85 points in the championship game. Let’s review that final score: Virginia 85, Texas Tech 77, in overtime. The 162 combined points were the most scored in a championship game since 2000, when Michigan State beat Florida, 89-76. It was the first national championship game to have both teams make at least 10 three-pointers. The combined 21 three-pointers made (11 by Virginia, 10 by Texas Tech) ties the record for combined 3’s by both teams in a championship game. Illinois (12) and North Carolina (9) also had 21 threes in the 2005 championship. While winning the national championship shouldn’t shape how we view Tony Bennett, it certainly will change his image among skeptics in the college basketball world. Anyone who knows basketball, already knew that Bennett was one of, if not the best college hoops coach in the country. Still, like Villanova’s Jay Wright and Gonzaga’s Mark Few before him, the sporting public refused to acknowledge Bennett until he advanced Virginia to the Final Four. Of course, that is just silly. Bennett is the same coach today as he was before the NCAA Tournament began a few weeks ago. Putting that kind of label on a coach is like hanging the same negativity on the best golfer never to have won a major. Bennett has guided Virginia to a 67-6 record over the past two seasons and claimed UVA’s first-ever national basketball title. He has put the Cavaliers in the conversation alongside Duke and North Carolina amongst the ACC blue bloods. Virginia and former member Maryland made runs at Duke and UNC’s dominance for short spans, as did NC State, but nothing sustained. Virginia will now be mentioned in the same breath of Carolina and Duke for the next five to 10 years, or perhaps even longer if Bennett decides to retire in Charlottesville over the remainder of his career. In a league that has boasted Basketball Hall of Fame coaches in Dean Smith, Mike Krzyzewski, Roy Williams, Jim Boeheim, Rick Pitino and Lefty Driesell, surely Bennett has thrown his hat in the ring as a future Hall of Famer. # Did you know that Virginia gave the ACC its 15th national basketball championship, which ties the Pac-12 for the most all-time? However, the Pac-12 hasn’t won a championship in 22 years (1997). We have a feeling that if Tony Bennett, championship coach, wants to take his dad for a round of golf at Augusta National, that won’t be a problem. # Kyle Guy told media during one interview session in Minneapolis that UVA football player Charles Snowden told Guy that he was going to name his future kid after Guy. # Elizabeth Cromwell, President and CEO of the Charlottesville Regional Chamber of Commerce, knows how to pick a winner. Cromwell placed a friendly wager with Eddie McBride, her counterpart in Lubbock, Tx., on Monday night’s championship game. Cromwell bet a gift of world-famous Virginia ham against Lubbock’s famous brisket and ribs. Cromwell previously won her bet against Auburn Chamber president Lolly Steiner. Cromwell put up Virginia wine against Steiner’s batch of lemonade from the city’s historic Toomer’s Corner Drugs, an old-fashioned soda fountain, and some Auburn swag. # If you’re looking for Virginia National Champions gear, then you’ve come to the right place. Make sure you check out the ad by our sponsor, Mincer’s, on the front page of our website. Just click on the ad and it will show you all the great items they have to celebrate the Wahoos’ championship. Mincer’s has a home store on The Corner, another smaller one at Stonefield, and you can always order online. Oh, and don’t forget to tell ‘em that Hootie sent ya. # At least two betting services have already established Virginia as the odds-on-favorite to win the national championship next year — pending on who returns and who doesn’t return to the team. That list shows how short sighted many of us are. Patience will be contagious, just like calmness. UVA has the best, young coach in the country with a true understanding and love of team performance and excellence. Enjoy!